There is another aspect another dimension to the words, Her and she. In the physical realm it is well-known that men are the stronger spirit and the woman is the weaker spirit physically. 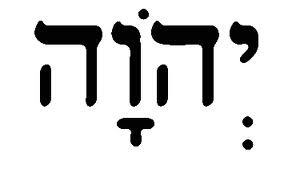 In the Hebraic eyes words have the same life. A beginning and an end they are born then they die in season. They start out as daughters of men’s thoughts and rule with the spirit of the man like a queen. Words are like seeds you plant them and they sprout and grow up to become like adults. You nurture and care for your words they grow up to become authority figures that rule next to you. They become authority figure in your spirit because it came from an authority figure. In that respect This is called blind faith. I put my common sense away in a box but my instinct was to challenge the words of men. Case in point; Climate change began life decades ago it was planted in the soil of man and it has since sprouted into a young lady. She is becoming stronger as the years go by. The word gained ground from one man, that I know of Al Gore, about 30 yrs ago. Now you have everyone out there (men) of the church (Roman Catholic, Protestant ect), parents and schools glorifying the Her. Now like the children’s fairy tale the, ” The Sky is Falling”, the parents the churches the schools the governments are all predicting the future we are all going to die in 12 yrs. This is the spiritual application of what Zechariah is talking about he is not about a physical woman a human. When you follow pseudo religions like the big dogs, Christianity and Islam, nations fall into chaos and confusion and destroy themselves and then something else rises up from the ashes. Men plant another seed and nurture it and watch it grow for decades. Then one day she comes to your house and you let her in to your dwelling to finally royalty status in your dwelling. You did not challenge the word and you accepted a stranger into your house and like a virus it made everyone sick in your family. Because you became effeminate of the truth. The words of Moses and the stone tablets it is all about words and their control in your house or dwelling and what you create to rule others. This is the pictograph for messenger, reading from the right to the left, you have two tents, male and female with a line underneath that is the ground you stand on. The next picture to the left is the tent peg of your tents with two dots underneath represents both male and female and also denotes one God. The last pictograph to the left is called “Tav”, crossed sticks when the tents of the male and female come together under the dome of one God. …….lift up you>> please>> eyes of you>> and see you>> what>> the one going forth the this………. The image to the far right is what is called a Kipha a dome that covers your head the heavens, It is a pictograph of an arm ie…. Pseudo religions have been killing each other for thousands of years. Christians and Muslims have been killing each other over words for hundreds of years. I stopped the killing when I started to challenge the word of men. Let the dead bury the dead, I came to give you, your life back from the hands of men. I will only be with you for awhile.